Whether you are looking for a Balsam Fir, Blue Spruce or a Fraser Fir, start the holiday season by visiting Saratoga area Christmas tree farms. Christmas is not complete with a tree to decorate so search our list of Christmas tree farms below. 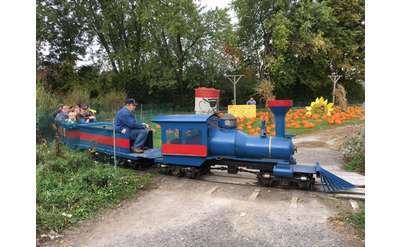 Don't forget to plan your family visit at Sunnyside Gardens for all your Fall activities including cider donuts, hayrides, pumpkin picking, must see hay bale displays, a real antique train ride, corn maze, live music, and more! Always free admission! It doesn't feel like Christmas until the annual trip to McDonough's Farm to locate that one special tree for your family. Find the following varieties at Majestic Tree Farm: Balsam Fir, Blue Spruce, Fraser Fir, Norway Spruce, and White Spruce. Do you want to enhance your yard, help the environment and buy local? Then look no further than Bob's Trees Nursery and Garden Center for Christmas trees and more. 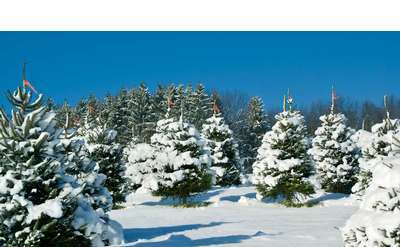 Find cut-your-own and pre-cut Christmas trees at Goode Trees. They also have freshly made wreaths ranging from 12" to 36" in diameter, and gifts and goodies.